2nd Steve eventually left to become senior pastor at a church out of state. I was happy for him. This left an opening at the church for a new assistant pastor. I remember the first time I met him. One of the couples at the church had invited everyone out to his farm to do apple bobbing and hayrack rides. He seemed like a nice enough guy. He recounted the story of Shadrakh(Shadrach), Meishakh(Meshach) and ‘Aved-N’go(Abed-nego) that I had heard so many times during my youth. Steve’s presentation of Daniel 3 came complete with video footage from a Veggie Tales rendition of the same story for emphasis. I think if time had permitted, Steve might have even thrown in the bunny song for emphasis: “The bunny, the bunny, Oh, I love the bunny . . .”, I must apologize as I digress, but my grandson Ben loves that movie as well – as a result of that fact, I have heard it many, many times – it is a catchy tune! He is a pretty good speaker. He seems to have the church audience’s attention. He looks a little nervous. he will save us from the blazing hot furnace and from your power. My mother had a developed a brain tumor around this time. Her faith was failing. Few in the 1,500 person church seemed to care much – this new Assistant Pastor did. He hadn’t been there more than a couple of weeks and showed up at 6AM to meet with my mother before her surgery. She didn’t want to see anyone. She was scared. After grudgingly meeting with him, her whole countenance and attitude changed. She wasn’t afraid anymore. I got to know him pretty well. He presided over my brother’s wedding and we met together often. About 11 months later, that Assistant Pastor was fired. I remember the Senior Pastor getting in front of the congregation and telling them that the Assistant Pastor had quit and was stepping down – most in the church still think that is what happened to this day. It was the 2nd time I had seen that Senior Pastor lie in less than 6 months – the other time was to me directly. I was very hurt by it both times, but I didn’t run this time. I loved the man, even if he wasn’t honest. I think that is why it hurt so much! I contacted him about it but resolved nothing. I decided it was time for me to find a new church home. To the recently dismissed assistant pastor’s credit, he talked me into staying and serving the new Worship pastor there until he got on his feet. I stayed over a year after that before moving on. I was floored. I said, “I don’t know, I was hoping you could tell ME!” Those 8 words changed me because I could not find or come up with how this particular view in eschatology was arrived at. I read the explanations, I just didn’t arrive at the same conclusions based on the explanations. Talk about having your ideology challenged . . . it was hard – on both me and the wife! We struggled. We probably bought 15 books on eschatology such as 4 views etc. Problem was, the more I studied, the more each of the views seemed to have flaws in them. I never did resolve it all the way. Many years later, I heard Dr Ron Moseley make a statement that to this day I think is one of the smartest things I have heard on eschatology: “In the end, God wins!” Not much you can offer to that. I was playing tournament golf during this time. I had given God rule over most things in my life, but golf wasn’t one of them. If I am truly honest with myself, I guess I was afraid if I gave him golf, he wouldn’t give it back! A friend asked me in the church if I prayed before matches. “Prayed? I’m not asking God to help me with a silly golf match!” She very calmly asked me a question that floored me, “So, he isn’t the God of your WHOLE life, just part of it huh?” WOW! Right in the gut! It didn’t take long. I took some time off from tournament golf and buried myself in the text. By the way, God gave golf back. It just didn’t mean the same thing to me anymore when he did. It didn’t hold the same thrills. I had no desire to do side bets. I had no desire to tease and no desire to be teased. I didn’t think it was possible that it would ever come to that! My study time increased to about 4-6 hours a day. Without golf, the study of God’s word had nothing to compete with it. I was asked to teach. I was also asked to start a small group. We tackled the tough subjects and worked though the historical and archeological aspects of the text. But just like golf, the more you practice, the better you get. The better you get, the less people want to play with you. The word of God was not causal anymore. It was LIFEBLOOD! It was God’ love recorded on scrolls for us – a gift born in loving-kindness and covenant faithfulness by a Creator that does not lie – that disciplines those he loves as any loving father would. I went from having a few causal christian books to a large amount. My electronic library grew large as well. I was dealing with subjects like replacement theology, prosperity gospel . . . the list is really long here. Things I had heard taught in different churches I had belonged to. Many of them outright contradictions to the text. Not everyone is willing to risk their safe ideologies. Many Christians I have met subscribe to the Ignorance is Bliss model of Christianity. I know I did for a lot of years. The more you study the text, the more these things don’t stand up under the scrutiny of God’s word. 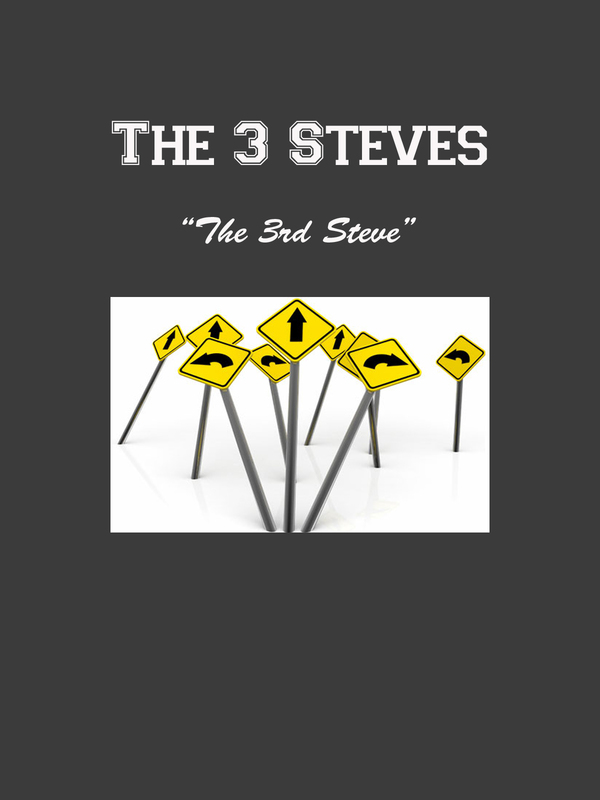 The 3rd Steve – the one this paper is about. The one that challenged me to find the answers in the text. We have both grown in the accountability that is God’s word and the relationship we have as a result of our mutual devotion and love of that word and for our Savior and Creator. I no longer have a shallow root. I have a deep root. It has been watered by God’s word and has grown strong as a result. It is not a reed swaying in the wind to every whim and teaching, it is a mighty oak that stands strong in the truth that Messiah has come and will come again. Without him, I am nothing. I was without hope and without God. I have been grafted in. He is my rock. He is my refuge. I love him with all my heart and all my being and all my resources. I talk about him when I wake, as I go down the road, when I sit at home, when I lie down. I teach my family and grandchildren carefully. These are not rules. They are the instruction and loving discipline of a a loving father. This is part 3 of my testimony. The 3 Steve’s that gave me discipleship are an integral part of that testimony. This entry was posted in Testimony and tagged christianity, even if, Testimony. Bookmark the permalink. what can I say…your testimony speaks for itself! I love your journey! Reminds me of that t-shirt you were so fond of wearing “I’m not the man I ought to be…Thank God I’m not the man I used to be!” Awesome post!